Attending MozCon 2016? Pitch for MozCon Ignite. 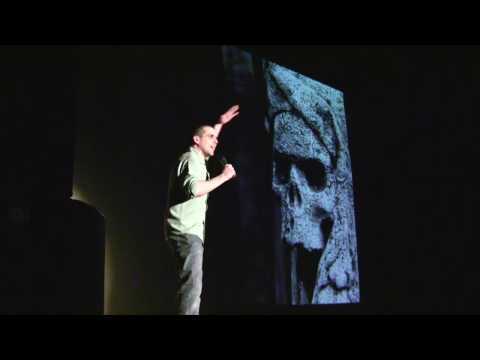 Wait, what is an Ignite-style talk? How does Ignite work at MozCon? Each evening at MozCon, we provide fun, networking, and relaxing after a day of learning. MozCon Ignite specifically focuses on networking and kicking back to be entertained with stories from your fellow attendees. We want you to share your stories, passions, and experiences. There are 16 — yes, 16 — speaking slots. The ever-fabulous Geraldine DeRuiter, aka the Everywhereist, will be back as emcee. 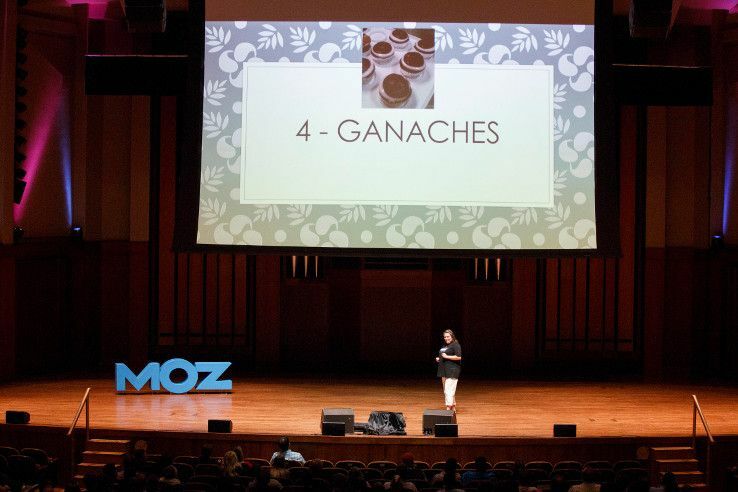 Annette talks about yummy ganaches at MozCon Ignite 2015. Talks cannot be about online marketing or career-focused. If you are already speaking on the MozCon stage, you cannot pitch for this event. You also cannot pitch if you spoke at MozCon Ignite previously. Submissions close on Thursday, July 21 at 5pm PDT. Selection decisions are final and will be made in late July/early August. You must attend MozCon, September 12–14, and the Tuesday night event in person, in Seattle. 5 minutes on the Tuesday night stage to share with our audience. The event lasts from 7–10pm and will be at McCaw Hall (where the Seattle Opera is). Stage tour of event space between 5–7pm Tuesday night so you can get familiar with the venue and being on stage before the crowd shows up. Unfortunately, we cannot provide travel coverage for MozCon Ignite speaking slots. As always, best of luck pitching! And we’ll let you know either way with regards to our decision. May the odds ever be in your favor. Buy your MozCon 2016 ticket and don’t miss MozCon Ignite!